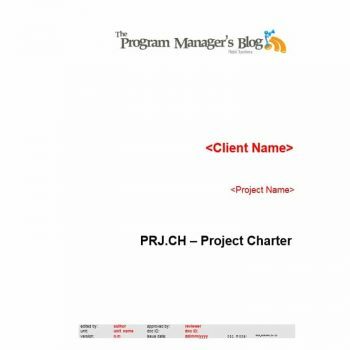 In terms of project management, a project charter (also known as a project statement of project definition) is a report of the whole scope, all the objectives, and the members who are involved in the project. 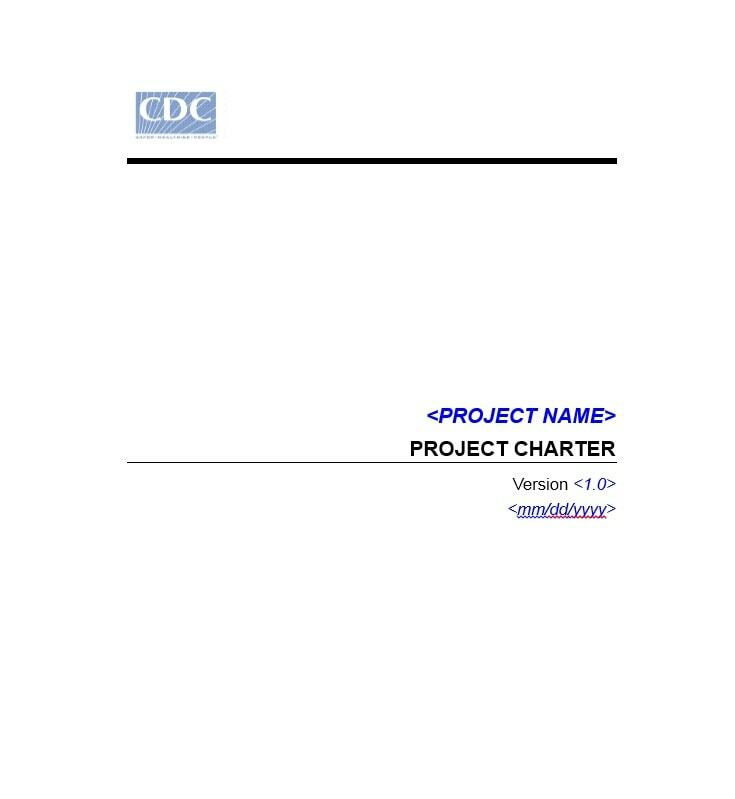 It serves as an opening definition of the duties and responsibilities of the participants and a summary of the objectives of the project. 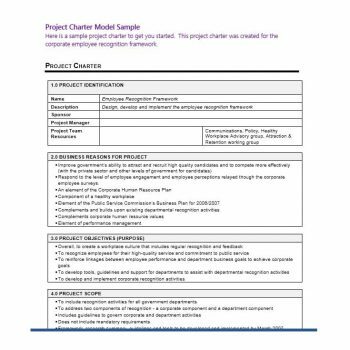 It also provides the identities of the major stakeholders and describes the authority of the project manager or project leader. 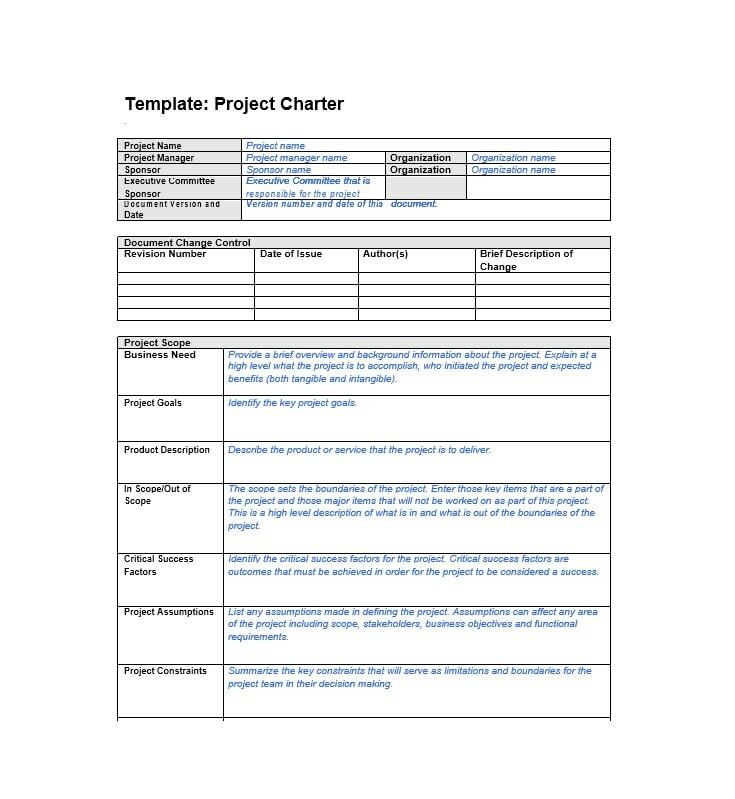 A good project charter template should contain and provide a comprehensive summary of the essence of the project. 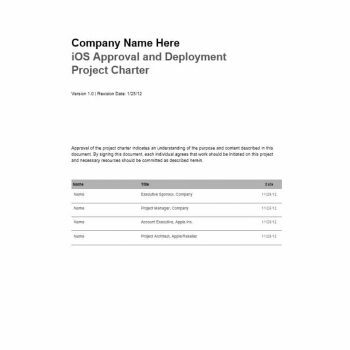 It is meant to be a document of agreement between the major stakeholders, the sponsor of the project and the whole team. 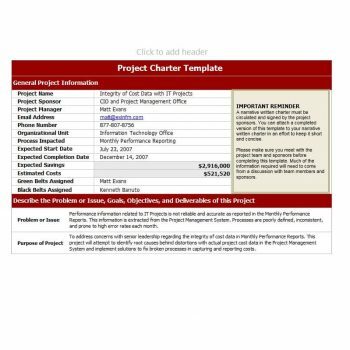 If you’ve ever seen a sample project charter, you’d know that it is just a short document which actually refers to more detailed documents, such as request forms. 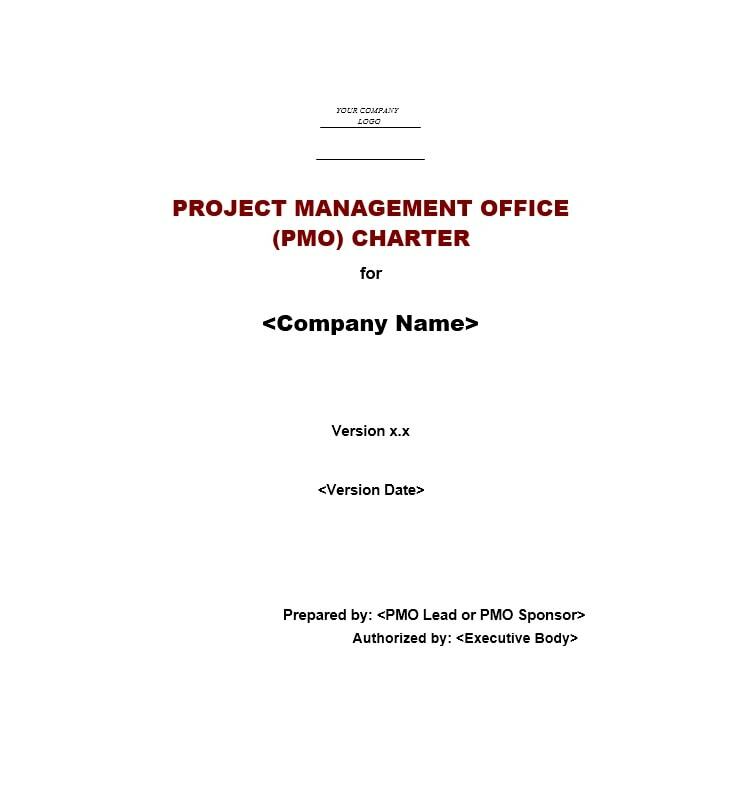 It is meant to determine the power of the project manager or project leader, especially in a matrix management environment. 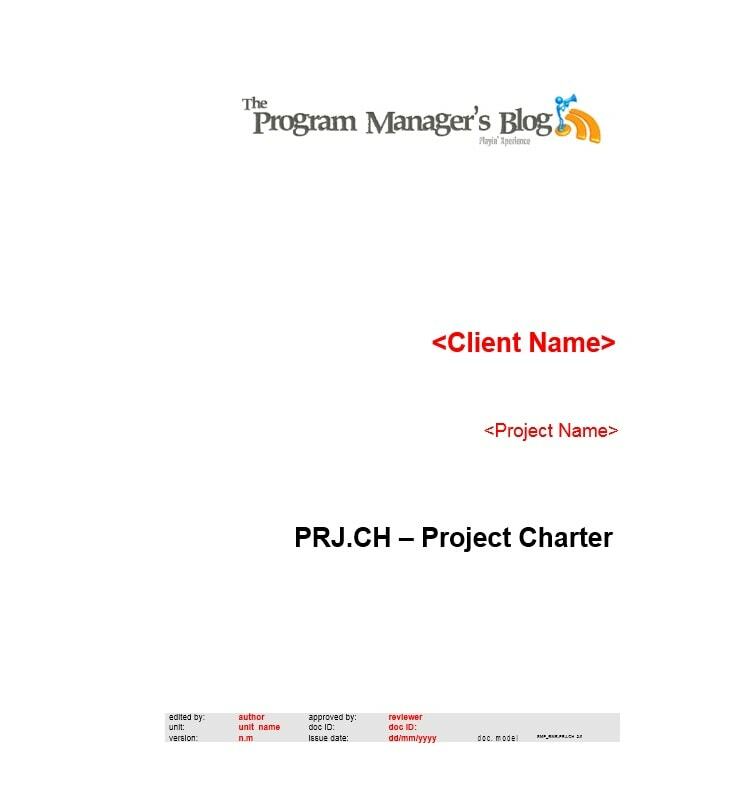 In developing the project charter, the project manager usually takes the lead. 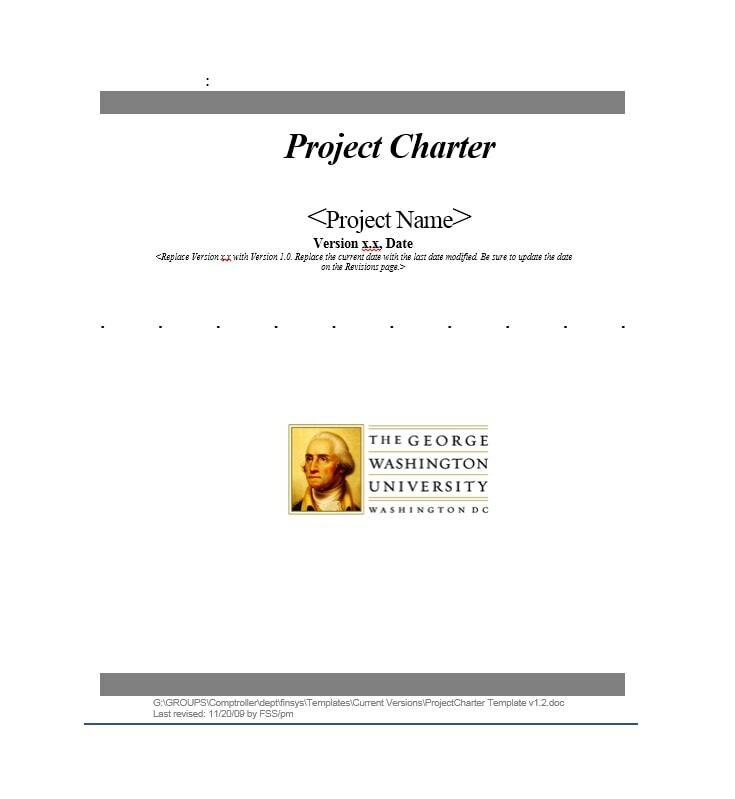 He/she will use his/her knowledge, skills, and experience to build up the charter. 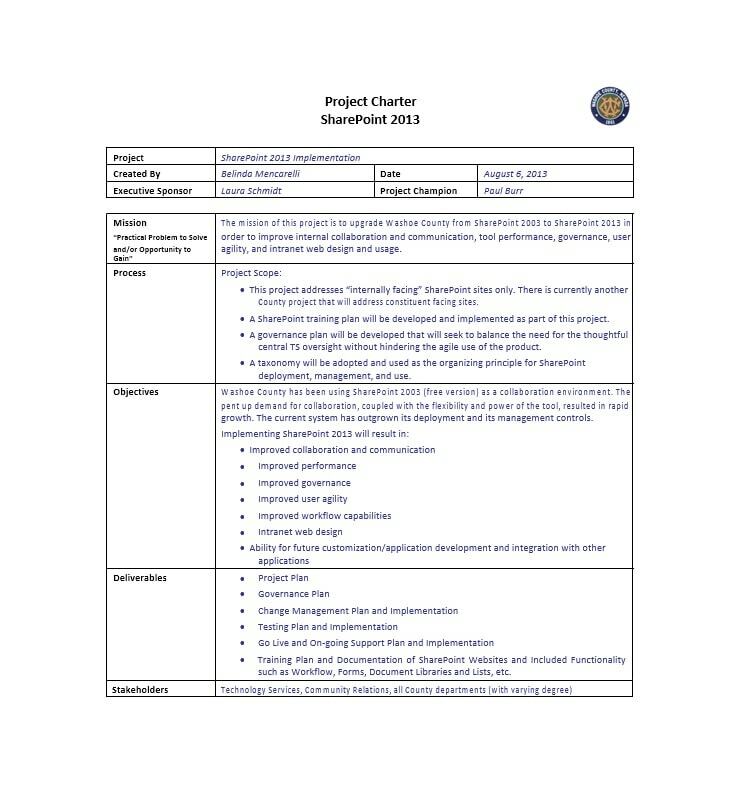 It involves working with the sponsors and stakeholders, experts on the project (whether inside or outside of the organization), or other professionals who can significantly add to the development of the charter. 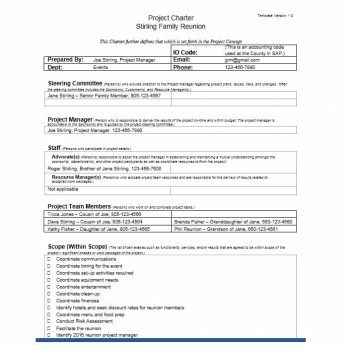 The project leader would also have to use helpful methods such as problem-solving, brainstorming, conflict resolution, expectations management and such to develop it. 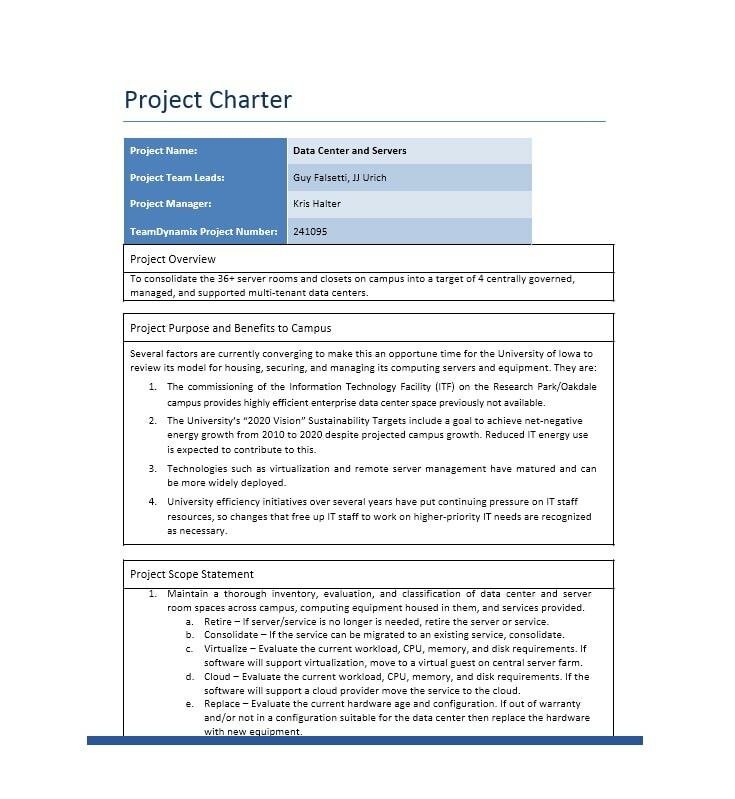 Once it’s signed, it will give the project leader the power to officially carry out the project and make use of funds and resources of the organization to ensure the success of the project. 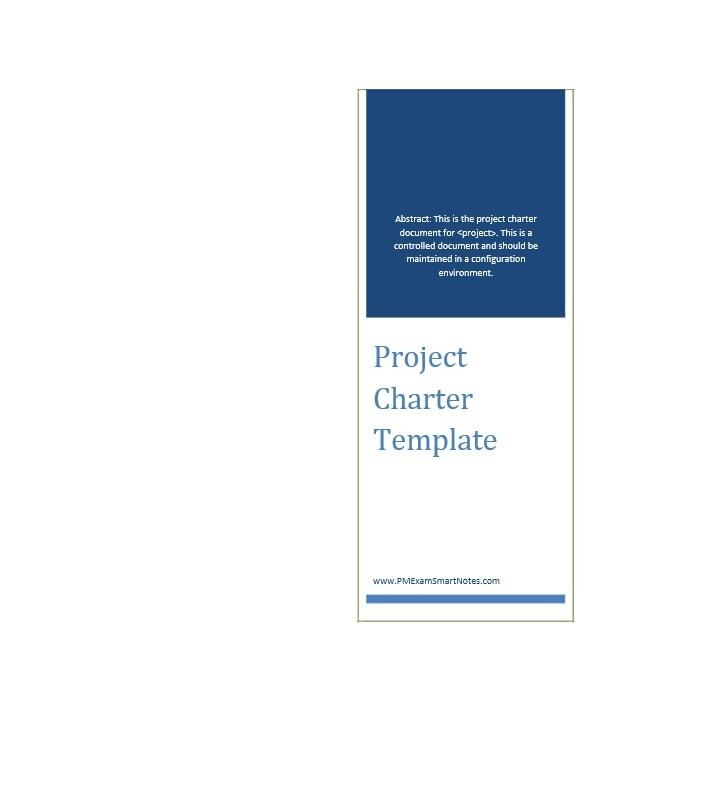 In this article, you will learn all about project charters, project charter templates, and good project charter examples. 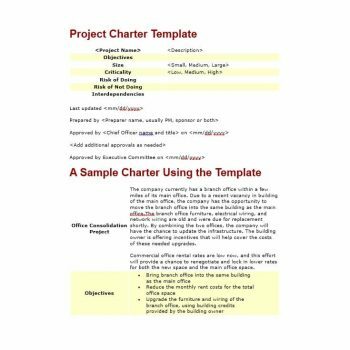 You will also get to know about the benefits of these kinds of charters as well as how they are made. 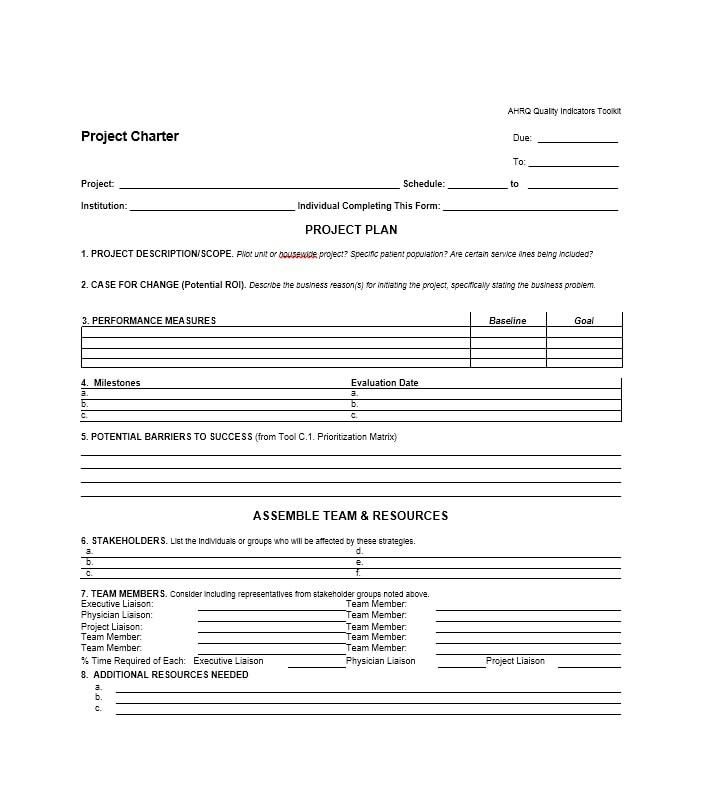 When starting a project, it would be extremely beneficial to develop a project charter first. 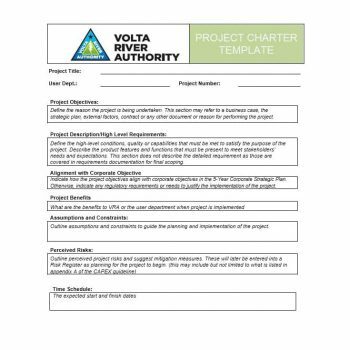 In order to allow the smooth flow of the project and the success of it, you can develop a charter as the first step in your whole process. 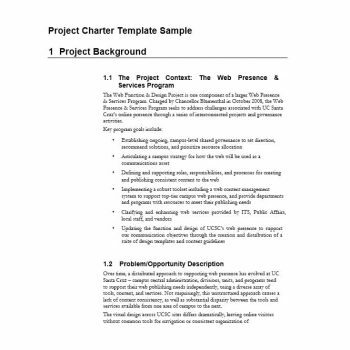 To Make a Clear Outline of the Project Objectives. 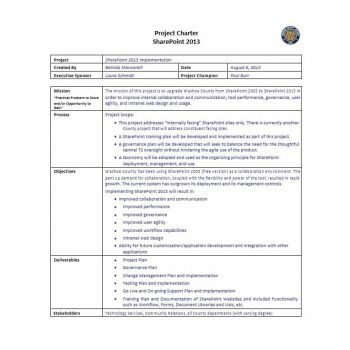 The project charter gives a clear picture of the whole project and what it’s meant to achieve by the end of it. 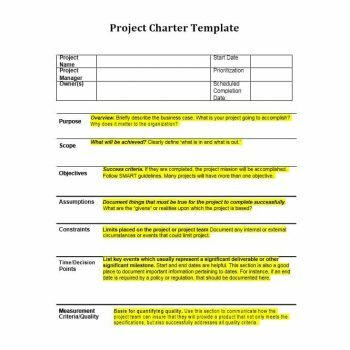 Clear and business focused sentences are used to outline the charter and make it easier to understand. 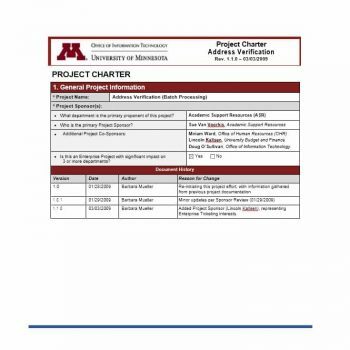 It also states when the project is supposed to commence, for the information of the project leader and all the participants. To Give Comprehensive Details About the Project Scope. The scope of the whole project needs to be clear. 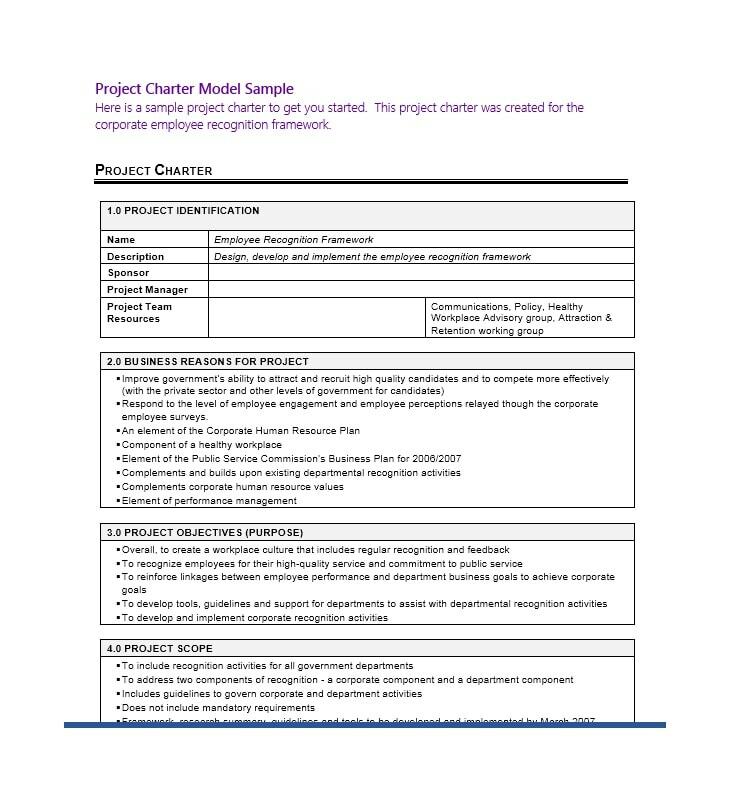 Without definition, the project leader as well as the participants won’t be able to determine the processes and procedures which are already out of the scope of the project. To Establish the Timeline of the Project. 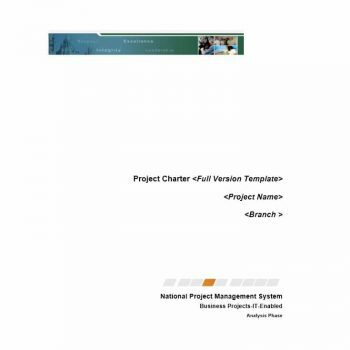 The whole timeline of the project needs to be established and it is also found in the project charter. 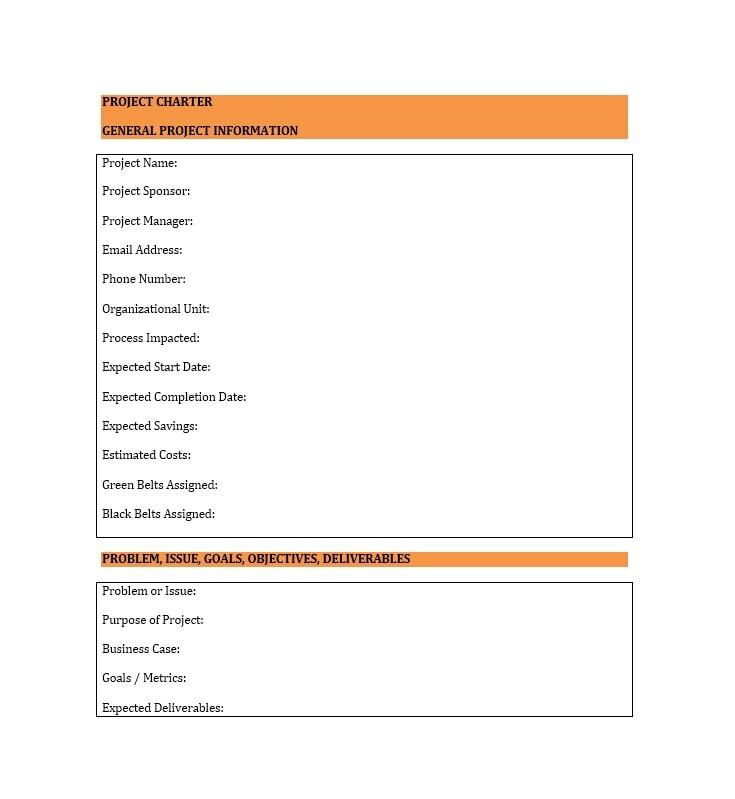 Having a proper timeline would serve as a guide for all work-related activities in a project. It is also relevant to track the progress of the work as well as to see if there are any delays. 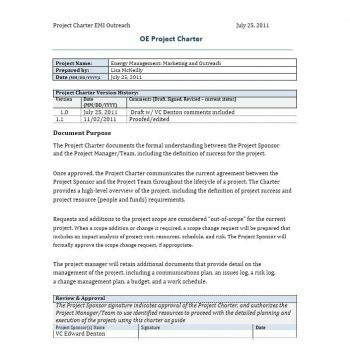 A good project charter example needs to have a timeline with all the tasks written in full detail. In the case of delays, actions to correct them need to be taken to prevent any negative impacts on the project. To Specify Any Roles and Responsibilities. 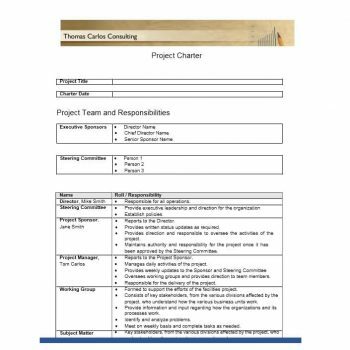 It is vital that the roles and responsibilities of the project manager as well as the participants must be known by everyone involved. 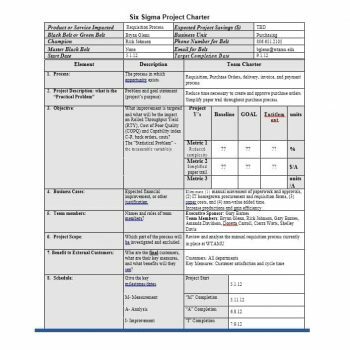 The project charter specifies what all the members of the project need to do and what they are in charge of. Knowing the duties, roles and responsibilities will aid in the productiveness of all the participants of the project. 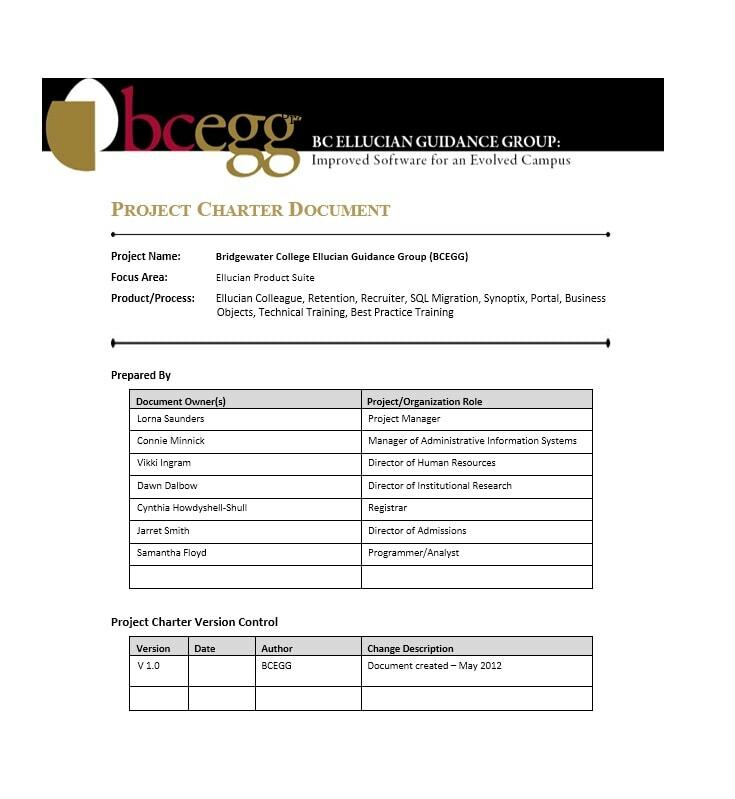 Having a project charter which is specific will enhance the efficiency of the members, thus ensuring its success. To Give an Idea of the Project Approach. It would be vital to know the project approach to have an idea of the functional and technical methods which will be employed. Functional methods could include gathering and sourcing data, setting up requirements, processing, profiling and so much more. On the other hand, technical methods could involve hardware and software setups, IT processes and such. Knowing these approaches will allow for effortless transition and work activities. To Be Informed of the Change Control. 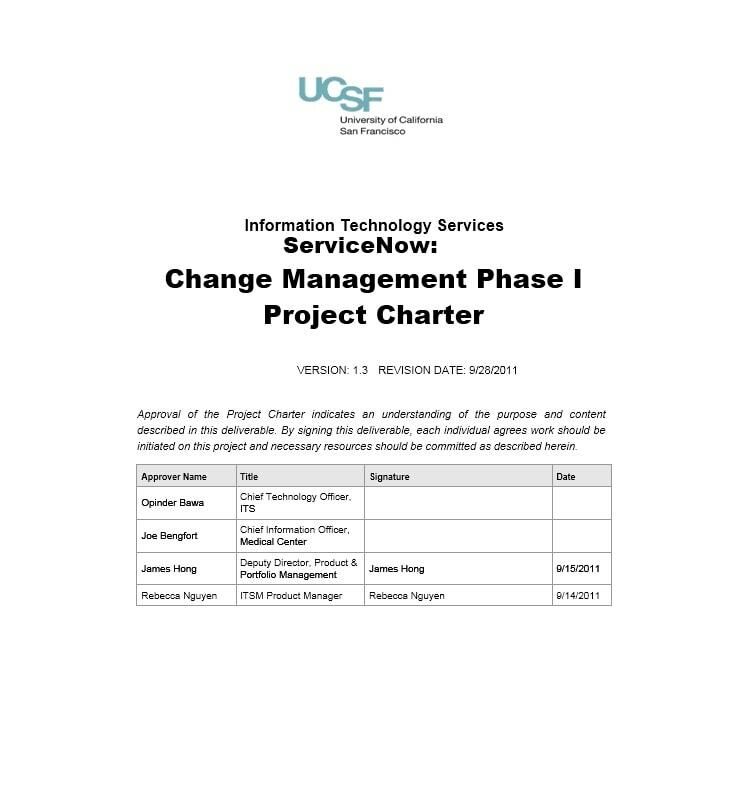 A good project charter should also spell out the process for change control. 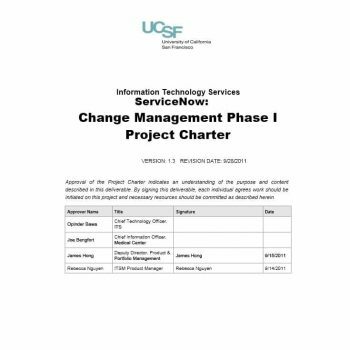 In the case of changes which aren’t part of the original scope of the project but are clearly needed for its success, the change control would establish what is needed to be done. 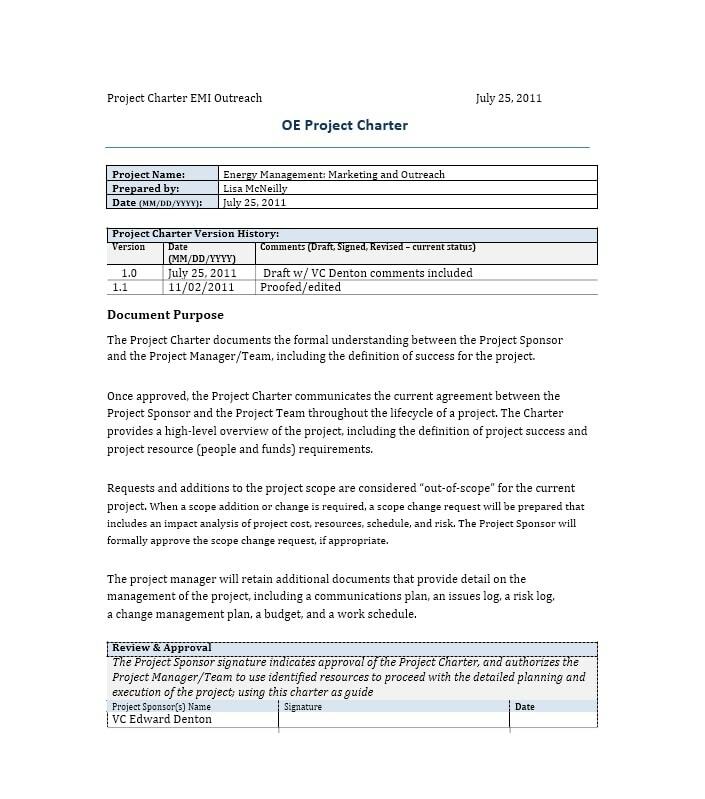 In a project charter, a diagram (usually in the form of a flowchart) shows how a change request is routed through all the different stakeholders for their approval. To Clarify Issue Management. 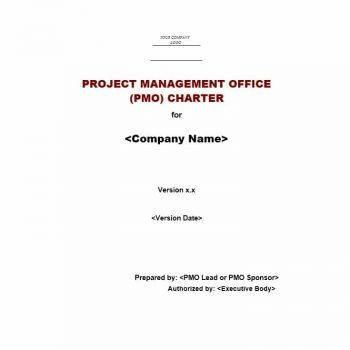 The process of issue management must be very clear to the project manager. The project leader has the task to manage any concerns which arise throughout the entire project timeline and without issue management procedures, he/she can be easily overcome with all the tasks he needs to cope with. Make All Vital Contact Information Available. 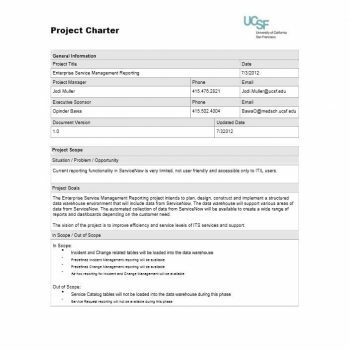 The project charter must also have all the contact information of the participants involved in the project in case a key member is needed in a crisis and is not in the vicinity. 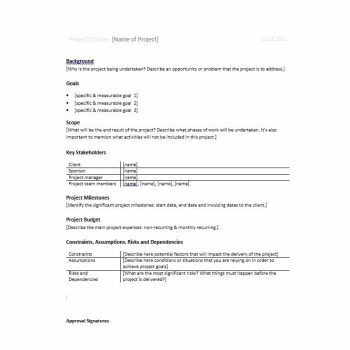 This would also be important in getting hold of the project manager in case the members need advice on an issue regarding the project. 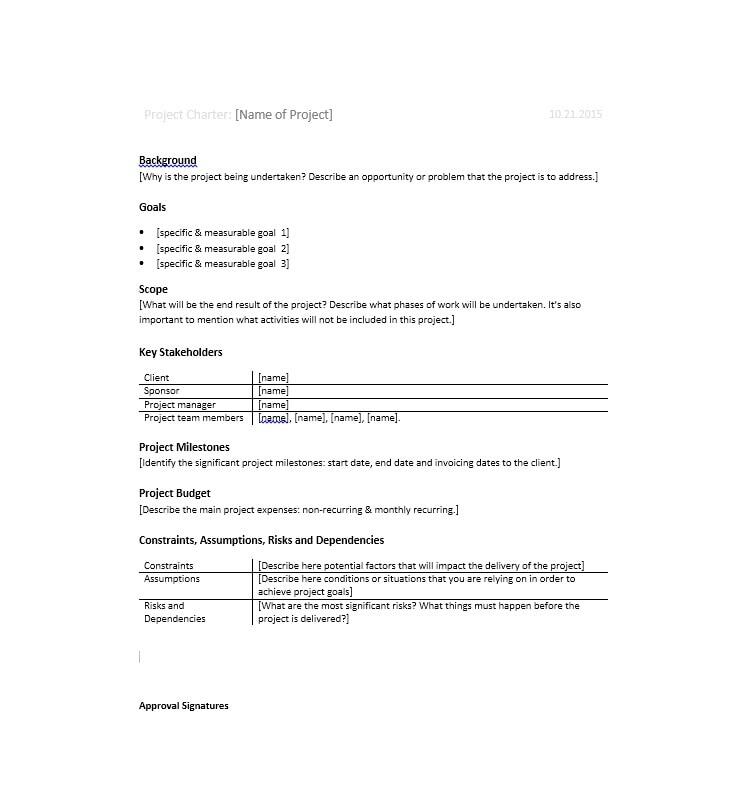 It completely records all the important reasons for doing the project. It gives an outline of all the objectives of the project. It also gives a run through of any constraints the project may be facing. It provides processes to solve any issues or concerns regarding the project. 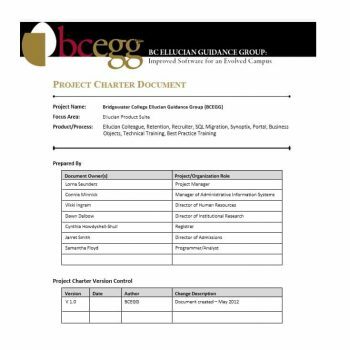 It identifies the major stakeholders of the project. It enhances relationships between all the participants involved in the project as well with the stakeholders and the customers. 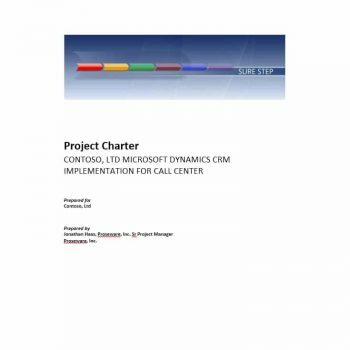 It serves as a powerful tool which can improve all project management purposes. It improves the communication between the project manager, the stakeholders, and all the members. 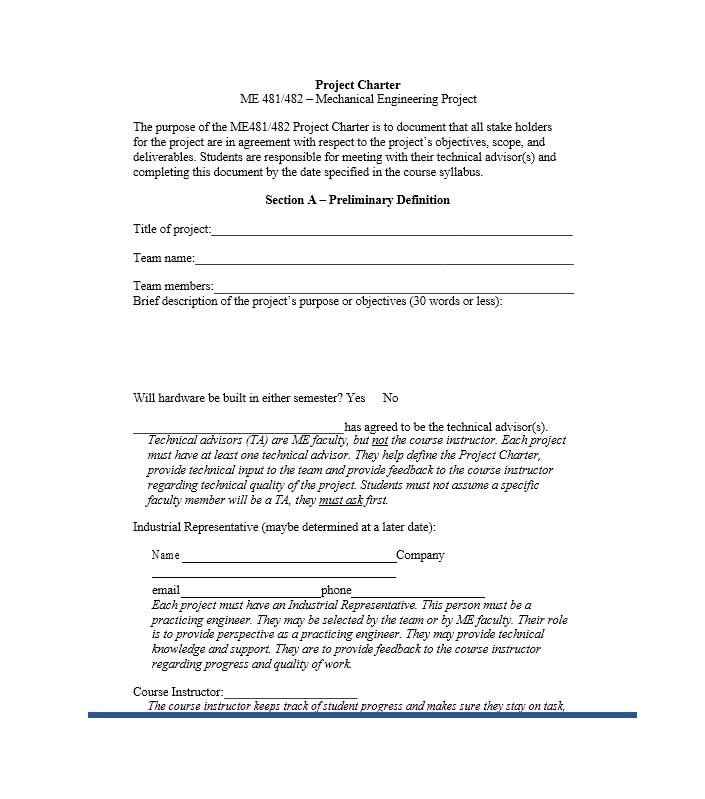 It can serve as a basis or a requirement for gaining project sponsorship. It gives recognition to the roles and authority of all the management involved in the project. It allows the project to develop and progress well. 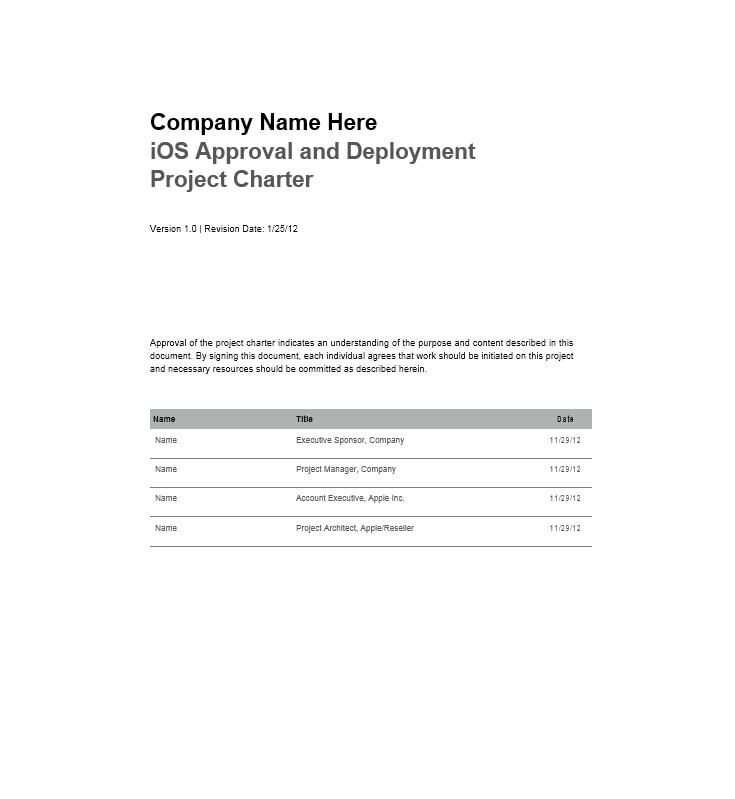 It authorizes the project and announces the beginning of it. It validates the support of the management to the whole project. It establishes the expectations, scope, nature of the work involved and everything else regarding the project. 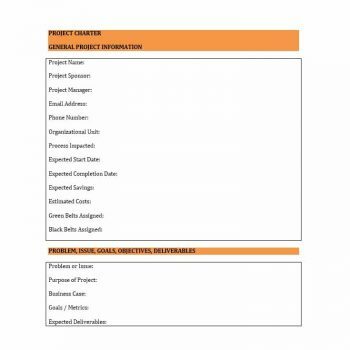 It defines the schedule, budget, and deliverables of the project. 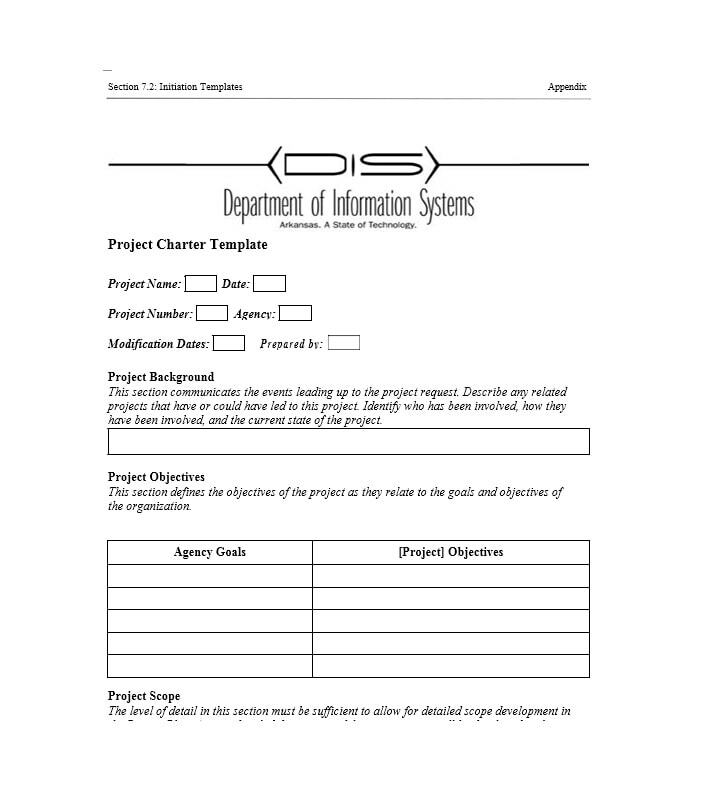 It works to align the project with the objectives of the organization. 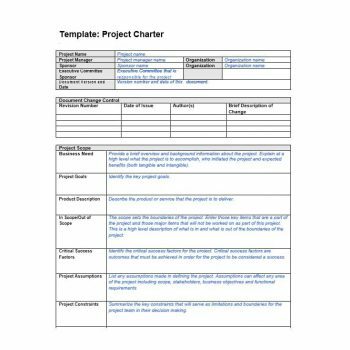 Making a good project charter template or a sample project charter would be easy if you have the right information. 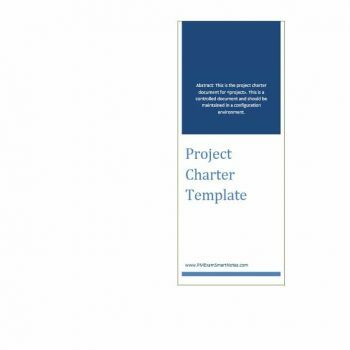 There are key elements which should be included in a project charter to make it effective and official. 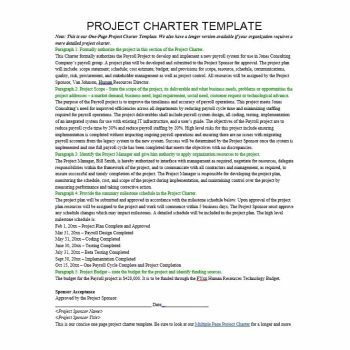 These elements are key to making an effective charter for your project for the benefit of everyone involved. 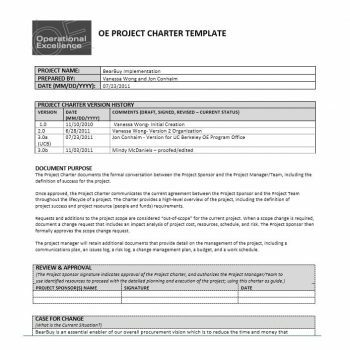 The first part of a project charter template or a business charter template should be the project’s name, the names of the sponsors and the project manager, as well as the date that the document was made. The Purpose of the Project. This gives details on why the project is necessary. 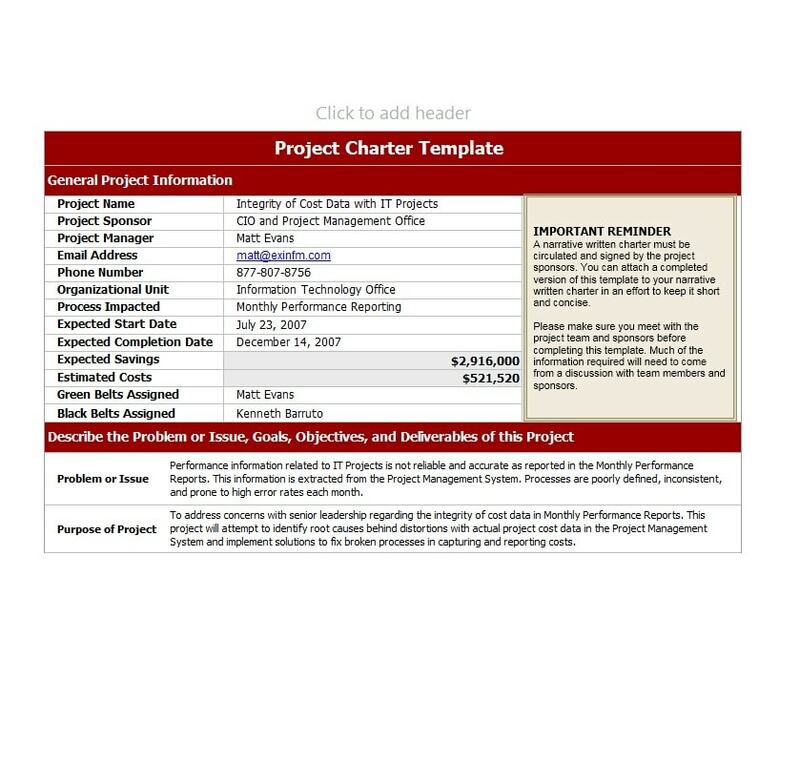 A business case or the project contract can be used as a reference in composing this part of the charter. You can also place the importance of working on this project. The Description of the Project. 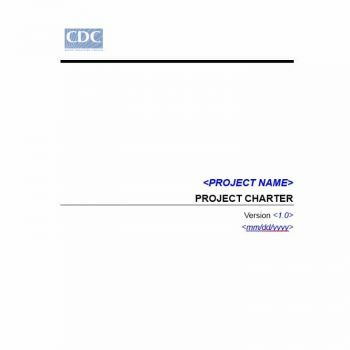 In this part, you must explain what the project hopes to achieve. 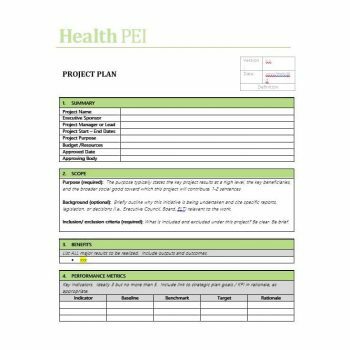 You should make a specific list with details on the items which are to be built or the services which are to be given. 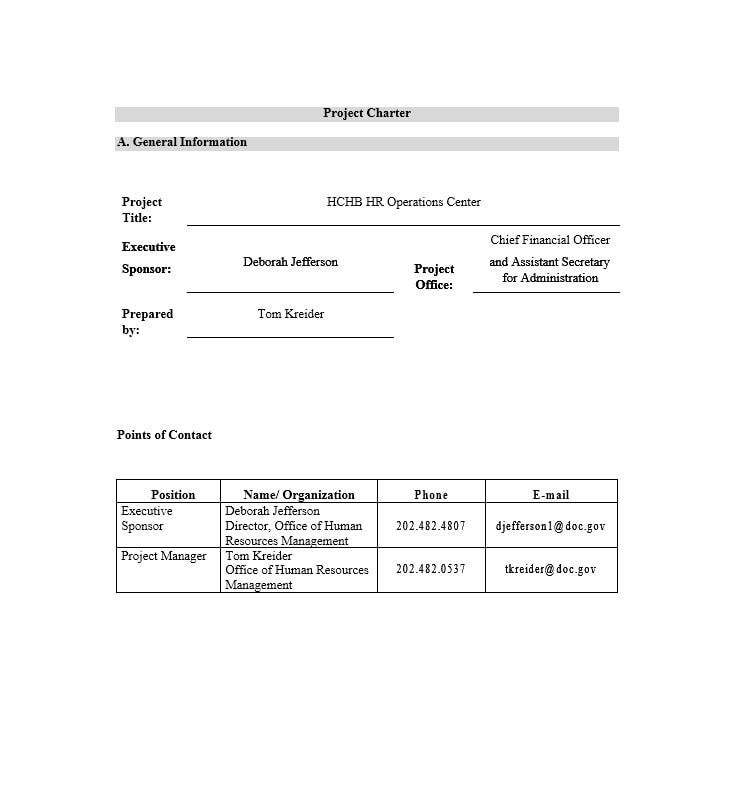 The Budget of the Project. 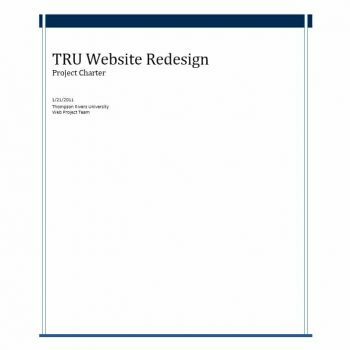 At the beginning of the project, you may not have all you need to know about the tasks of the project and what is really needed, so you may not have the complete budget details. However, you should have a good estimate and you should start taking note of the initial scope of the expenses as well as any foreseeable budget constraints. The Risks of the Project. All kinds of projects come with risks, whether big or small. Make sure to include any risks you may know about so that the whole team can also have an idea about them and can plan solutions ahead of time, to keep the progress and development of the project moving forward. The Milestones of the Project. 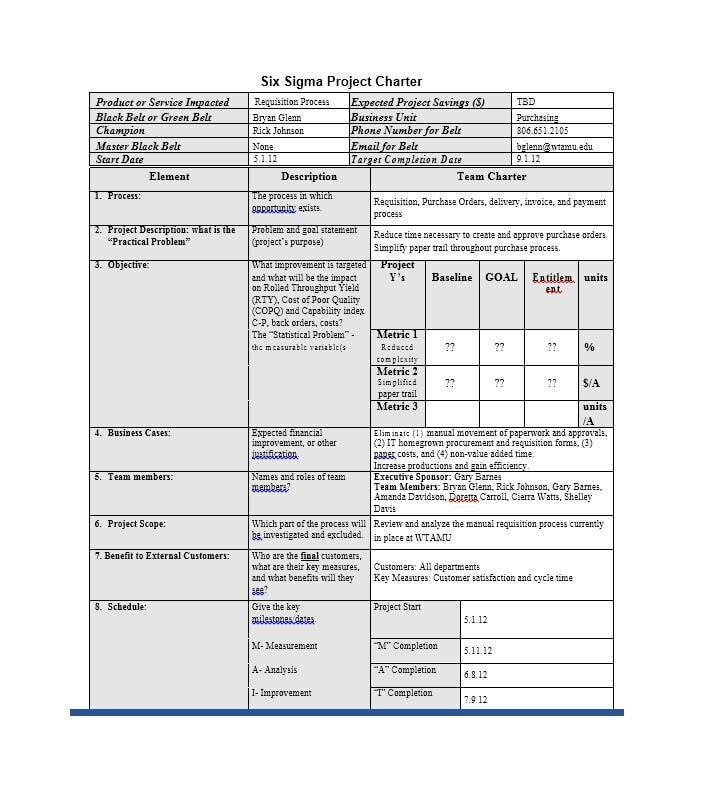 If you are aware of the milestones of your project, be sure to include them in this charter. 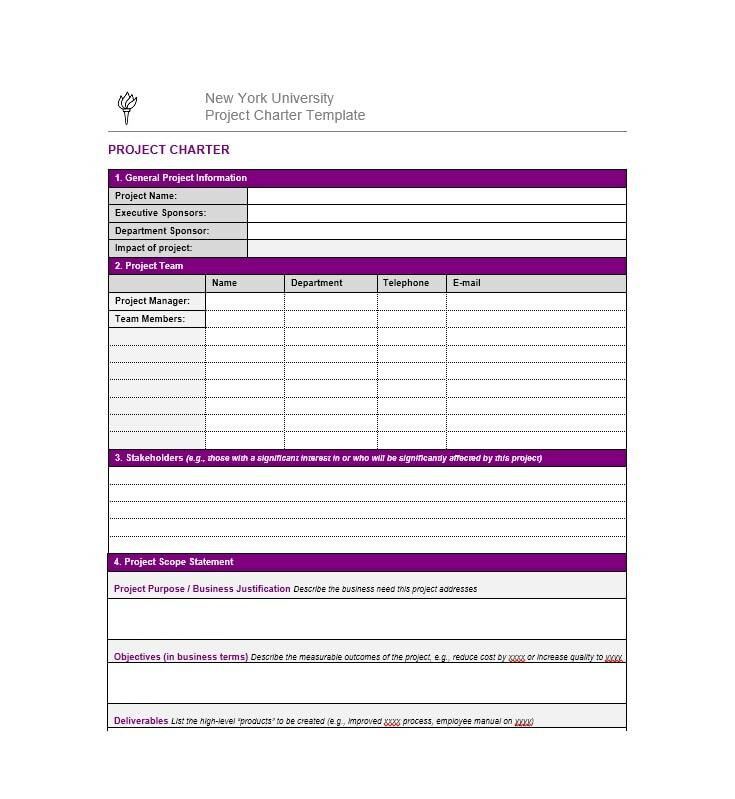 Just outline the general milestones to fix your timeline and establish the dates of deadlines you need to meet. The Objectives of the Project. 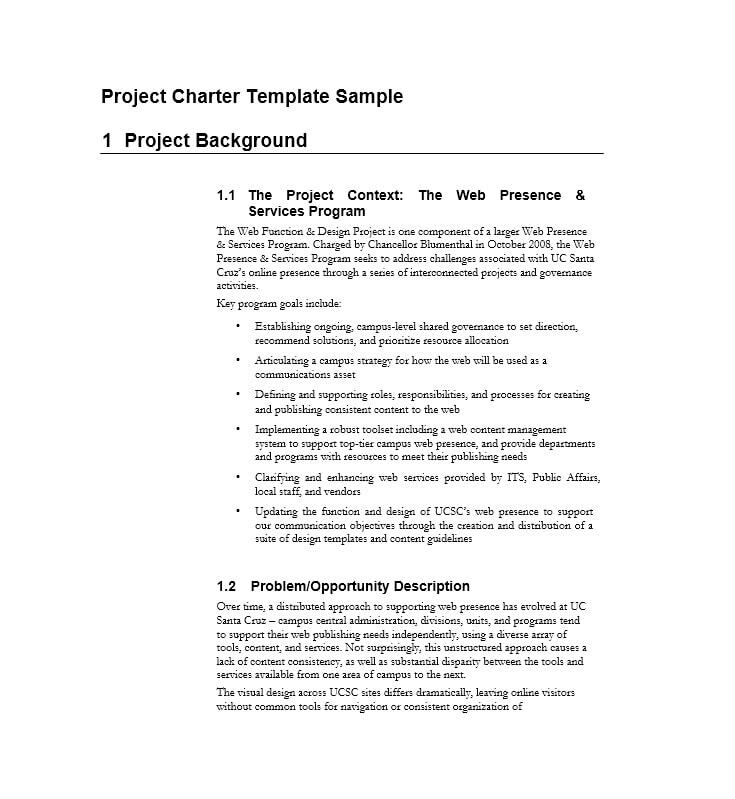 The objectives are the most important parts of a good business charter template. Knowing the objectives will allow you to know when your project is finished – this is when you’ve completed all your objectives. 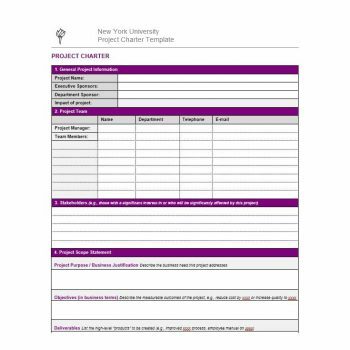 Make a note of what you expect to provide and how you know when you’ve completed your whole project. 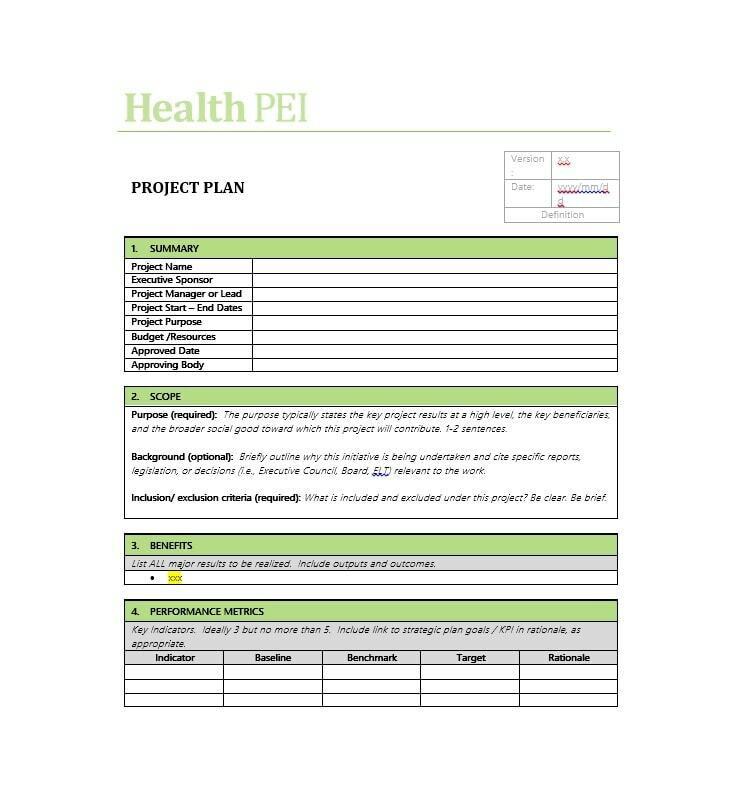 This would help prevent any problems at the end of the project so that it can be confidently signed off as complete. The Authority Levels of the Project Manager. The authority of the project manager to hire and fire members of the team is one of the examples of authority levels of the project manager. 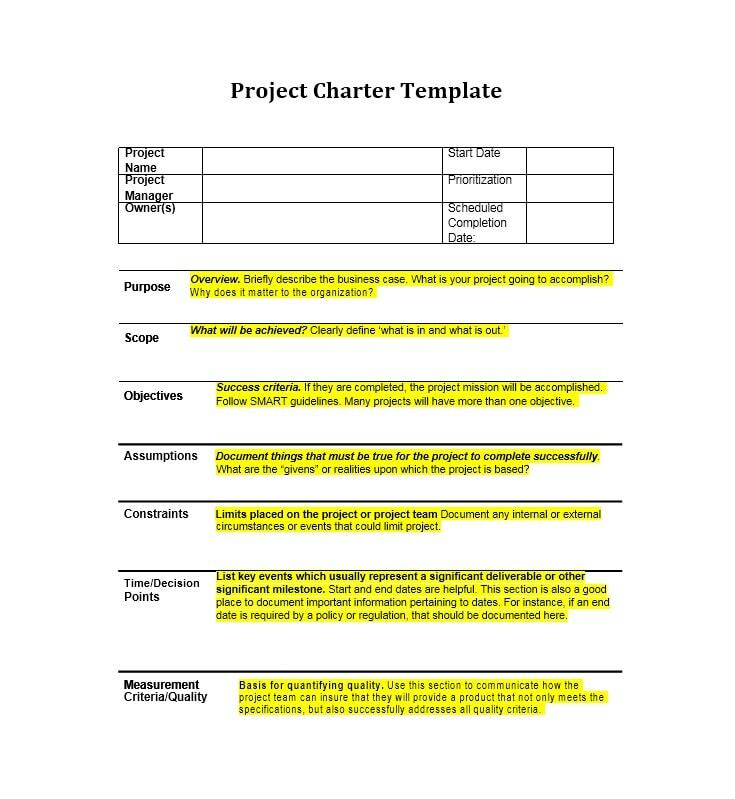 This would also be important to place in the charter so that his/her roles and responsibilities are clear. The Timeline and Participants of the Project. 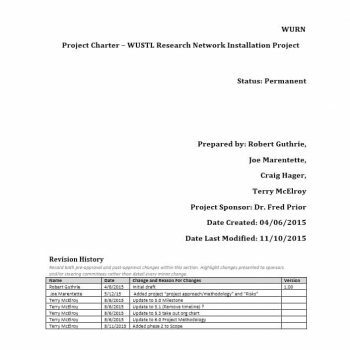 It would be essential to include the timeline of the whole project as well as whoever is involved in it. This would make it so that everyone in the team is aware when the project will begin, when it will end and all the deadlines in between. The Project Returns. You can also include whatever returns you are expecting at the completion of the project. This also includes any outcomes to be anticipated in terms of the performance of the team members. The Roles and Responsibilities of the Participants. 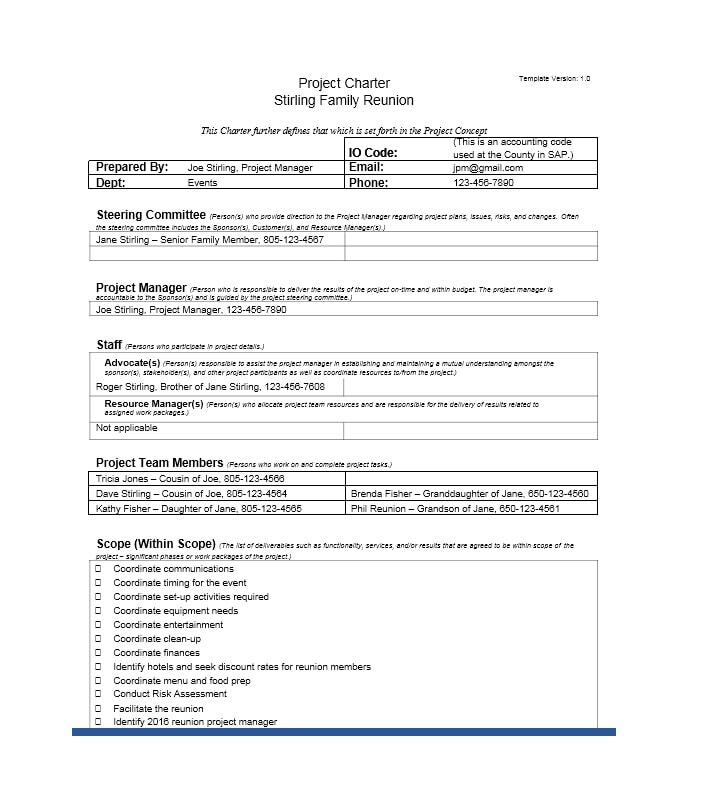 The duties, roles, and responsibilities of the project manager as well as all the team members should be included there so that everyone is clear on what they need to do to help in the completion of the project. 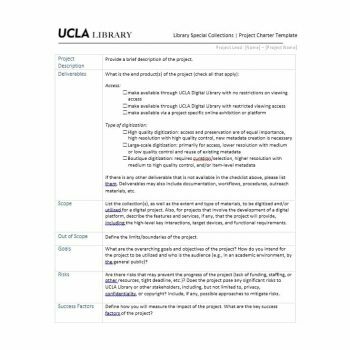 The Resources Needed for the Project. 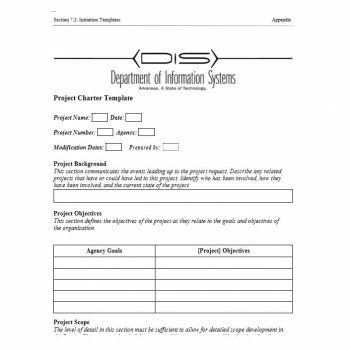 Every project needs resources to be able to carry out tasks within it. 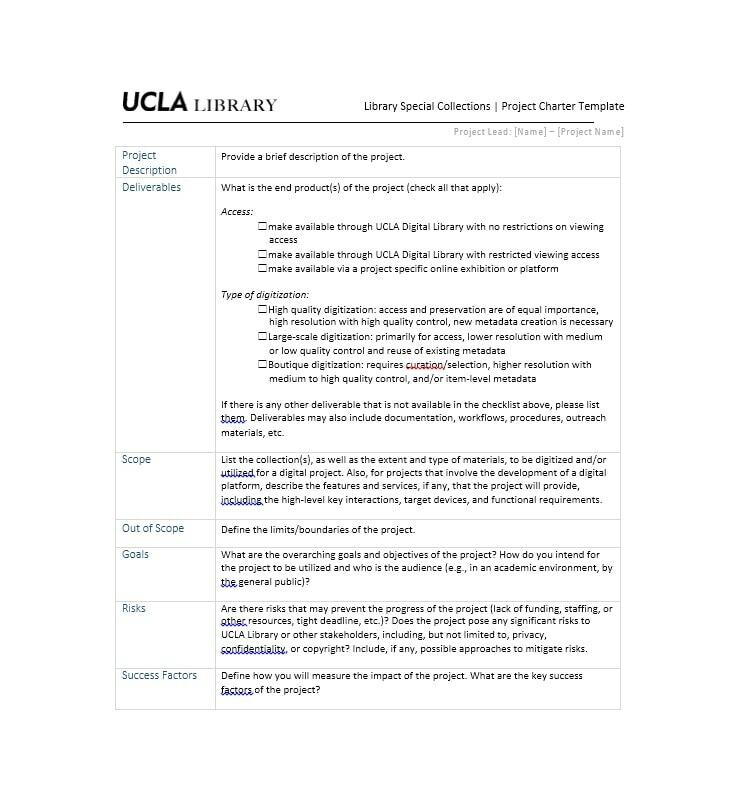 To be able to achieve the objectives of the project, you can also write down every resource you’d need to have or gather to make the work smoother. It has to be direct and concise. 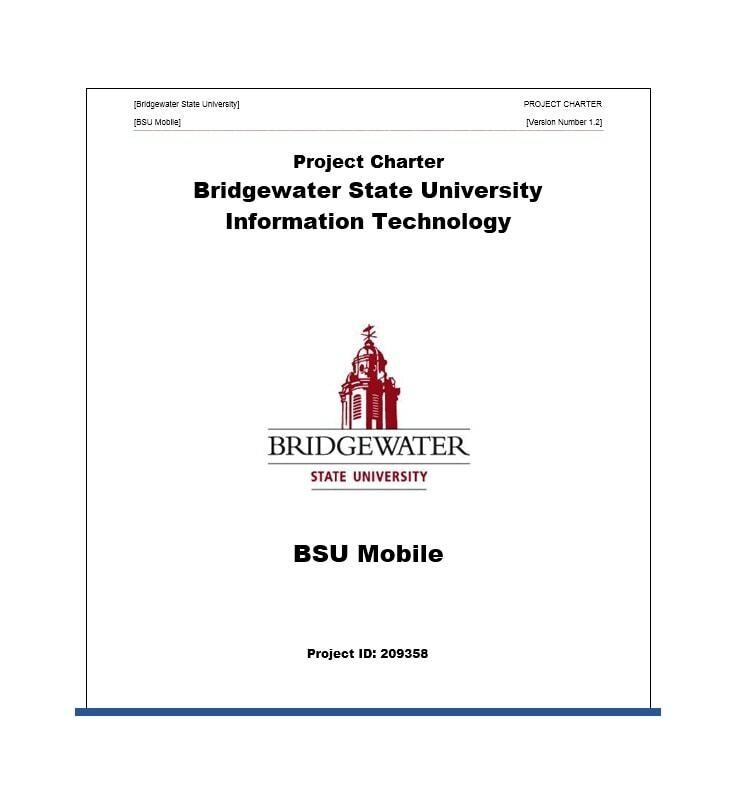 Ideally, it should only be around 2-3 pages long, along with the required attachments. Try to steer clear of using technical jargon and acronyms which aren’t defined so that it can be easily understood. It is made for management purposes rather than for technical specifications. Made at the beginning of the project to ensure its smooth process and successful completion. 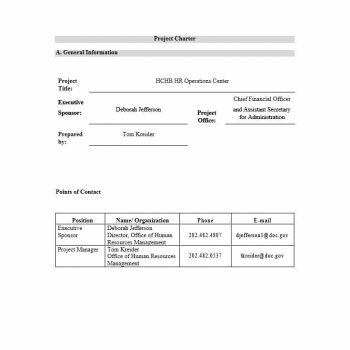 It is signed by the initiator of the project or the project sponsor/s. 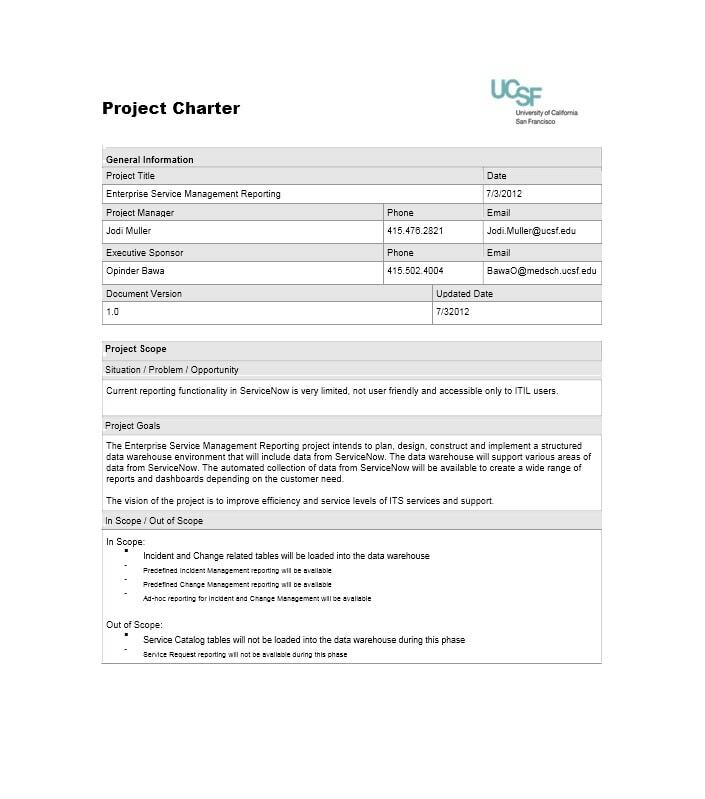 They can either make the charter themselves or let the project manager do it and when they sign it, it becomes official. It should be clear on who is responsible for coming up with the funds needed for the whole project and all the work involved. 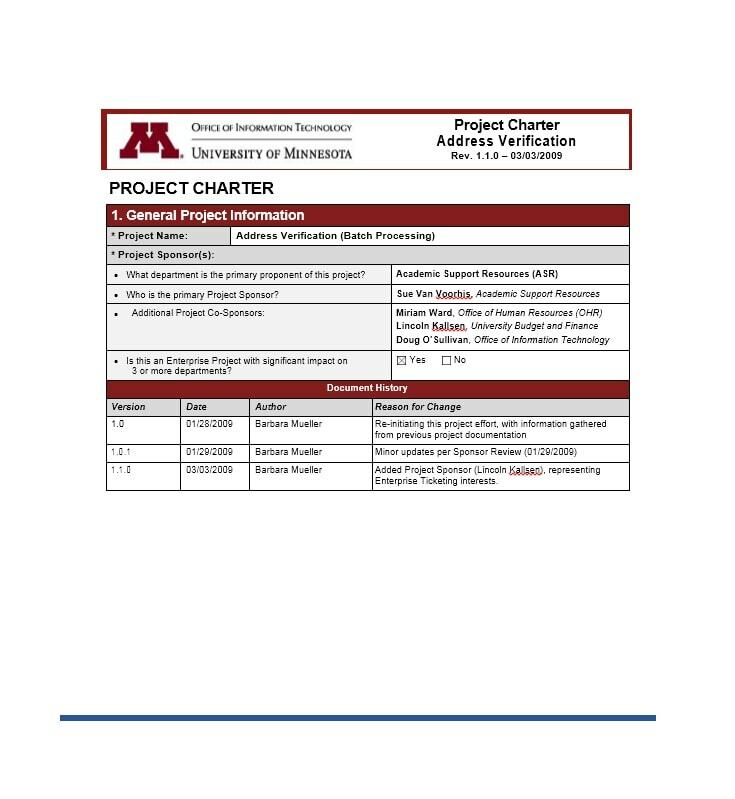 The charter formally makes the project manager’s role and authority legitimate. 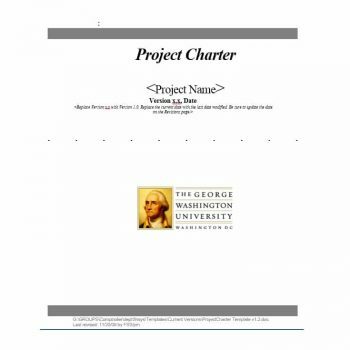 The charter also formally makes the whole project legitimate. 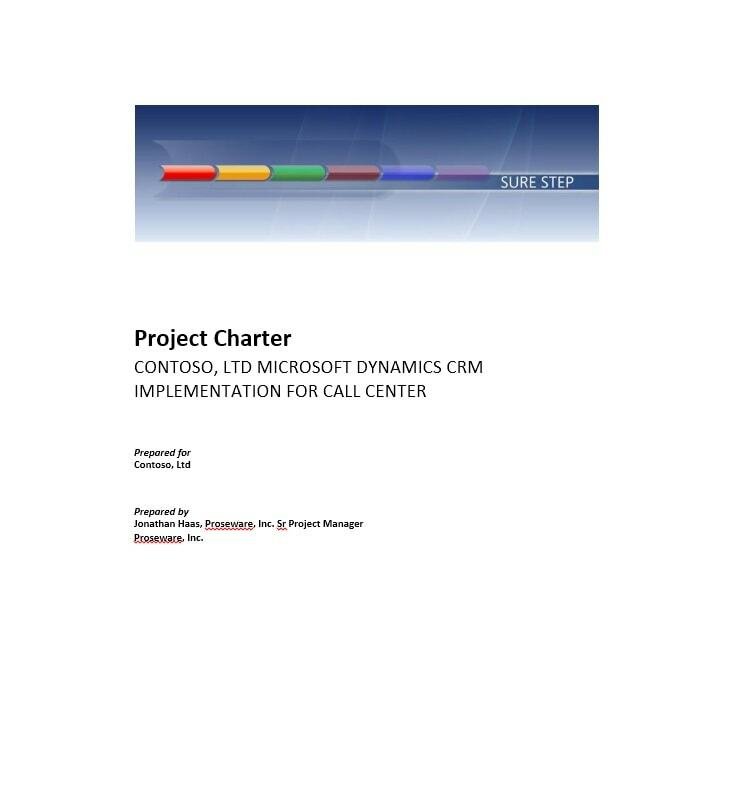 It can be used as a reference for the targets and goals of the projects through the objectives. 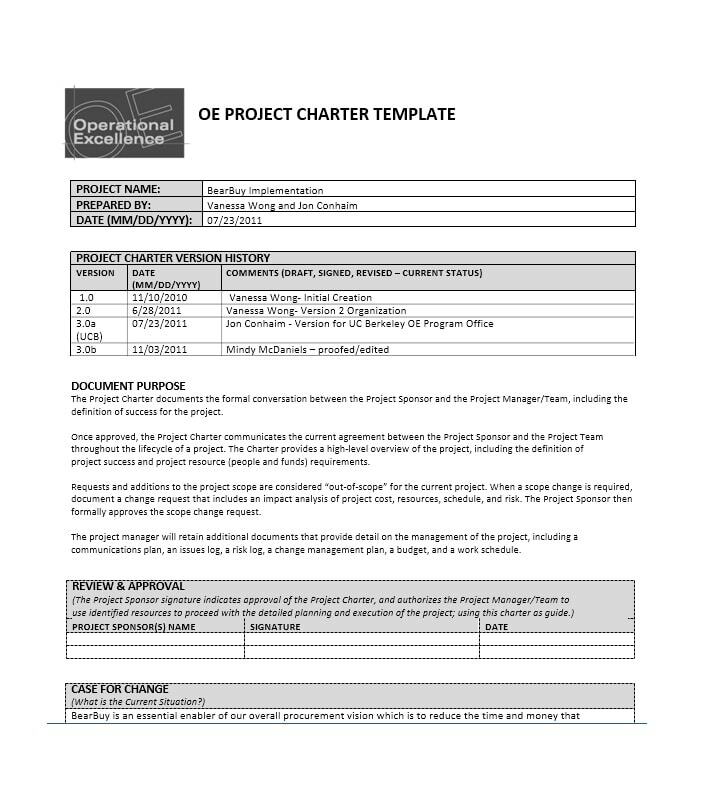 As you have read, the project charter is vital in the whole completion of a project. 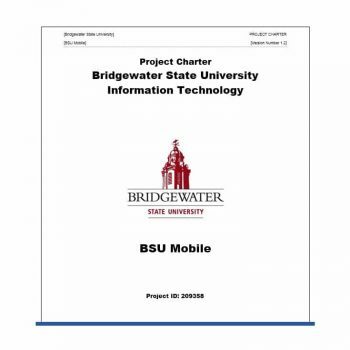 Having a document such as this is very useful in many ways. 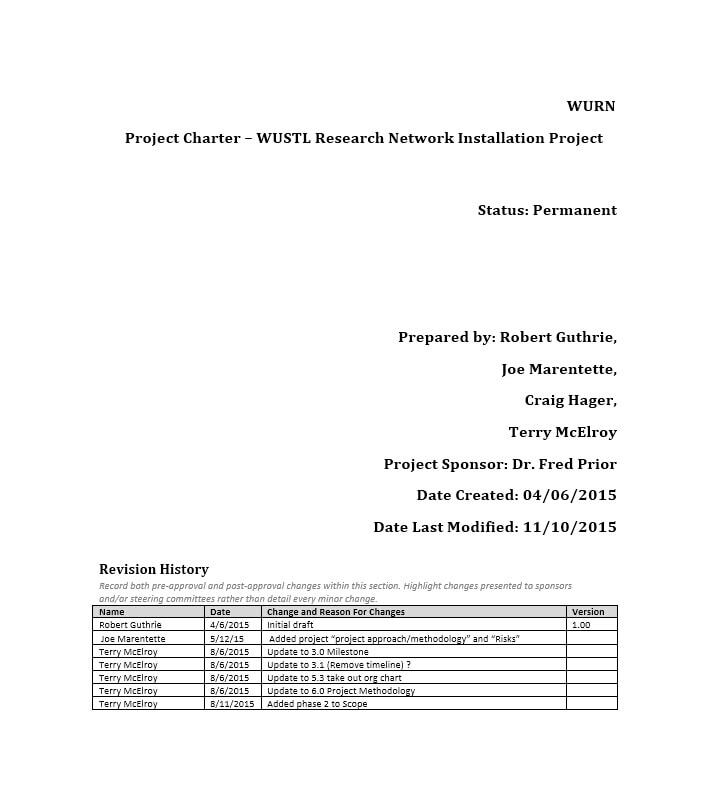 This document gives clarity to everything about and everyone involved in the project. Both the Project and the Project Manager Won’t Have Enough Authority. 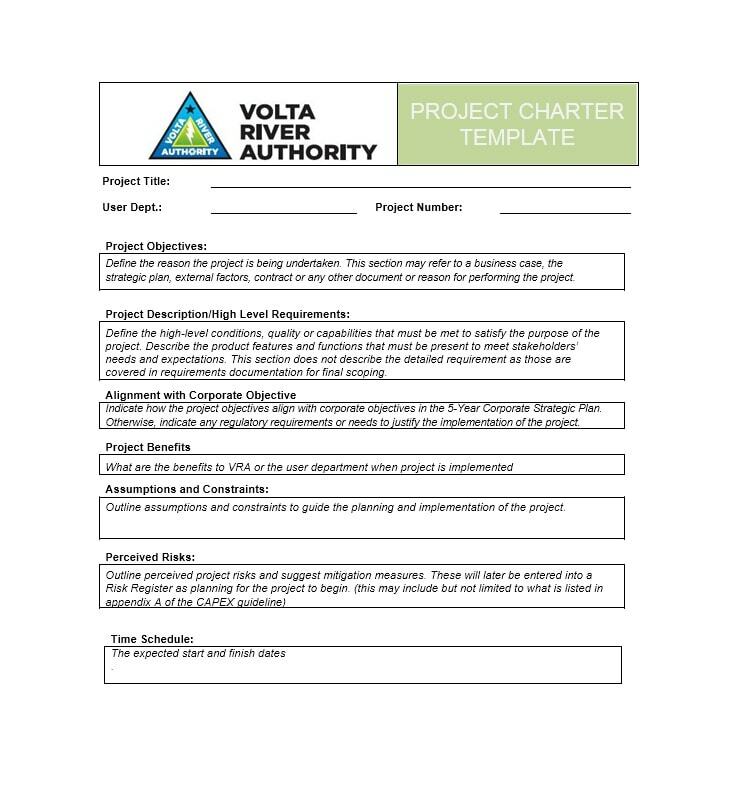 Project resources are often limited and if many similar projects are out there competing with yours, the absence of an official authorization – such as the project charter, makes it very challenging for the project manager to acquire the resources needed for the project. 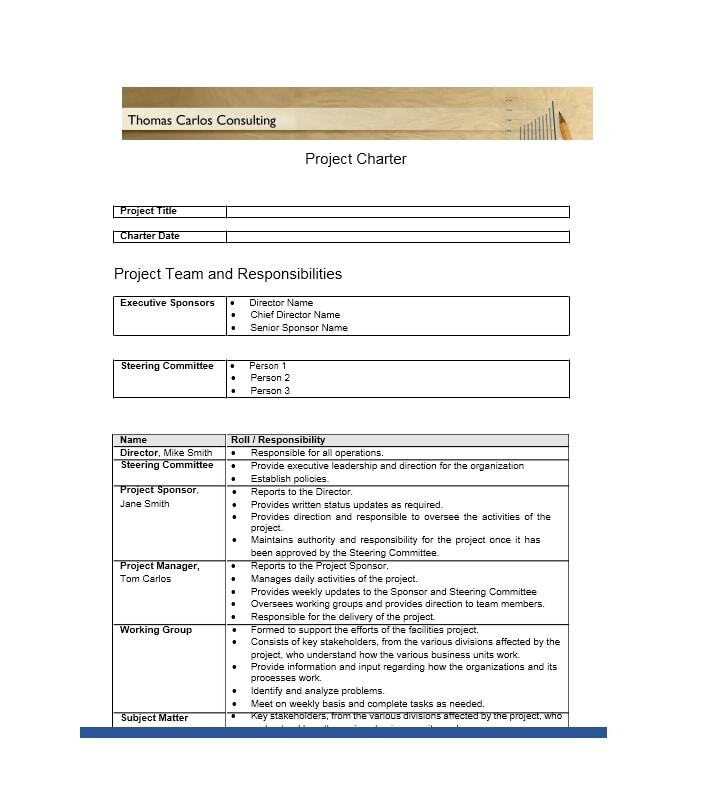 Since one of the main purposes of a project charter is to give authority to the project and to the project manager, having one would be essential. 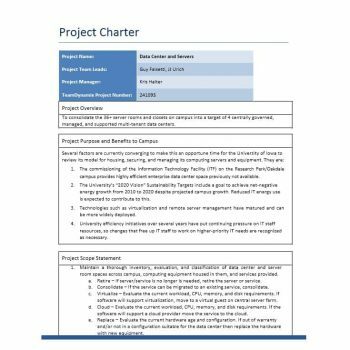 There is No Written Presentation of the Management Support. 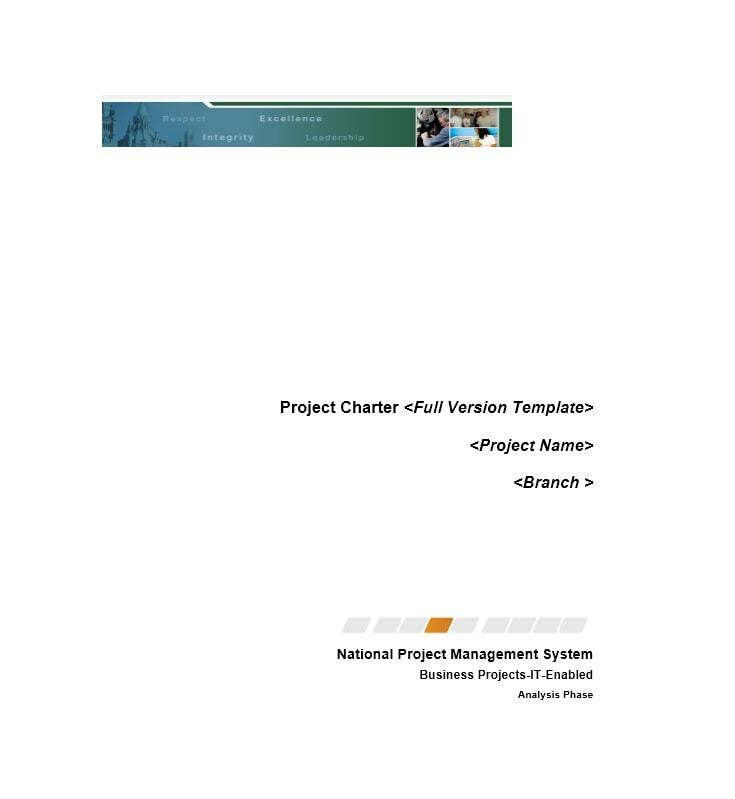 The project charter is needed to validate the support of the management to the project and the project manager. 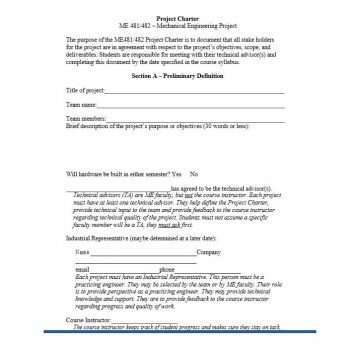 Having the project sponsors or the initiator sign the document is verification that they are willing to give their backing to the project. It Would be Difficult to Identify the Expectations of the Project. 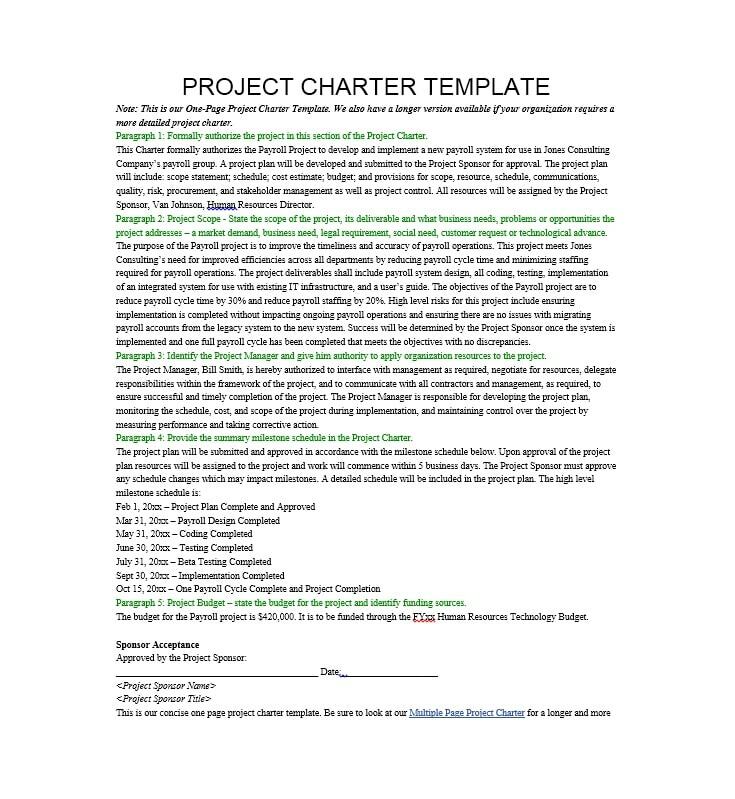 Without a charter, your project may not have clear goals which you’d be working to achieve. 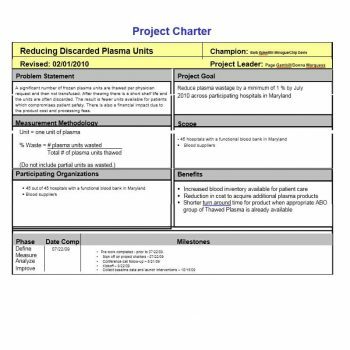 Knowing the expected project outcomes would be impossible, making it difficult for everyone involved to work on the project until it is completed. The Scope and Nature of the Project Cannot be Established. 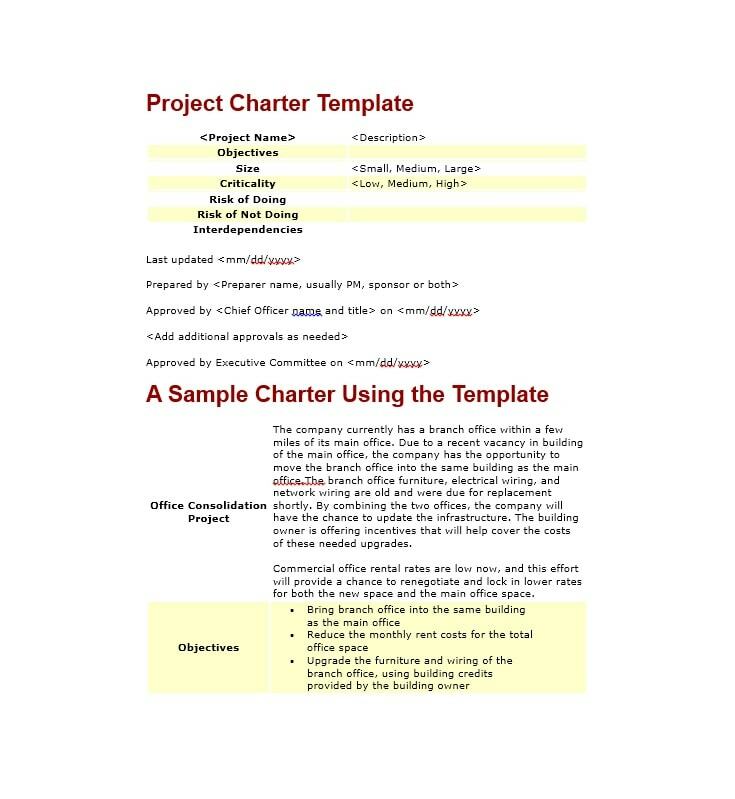 Having a charter ensures that the nature and scope of work is established. 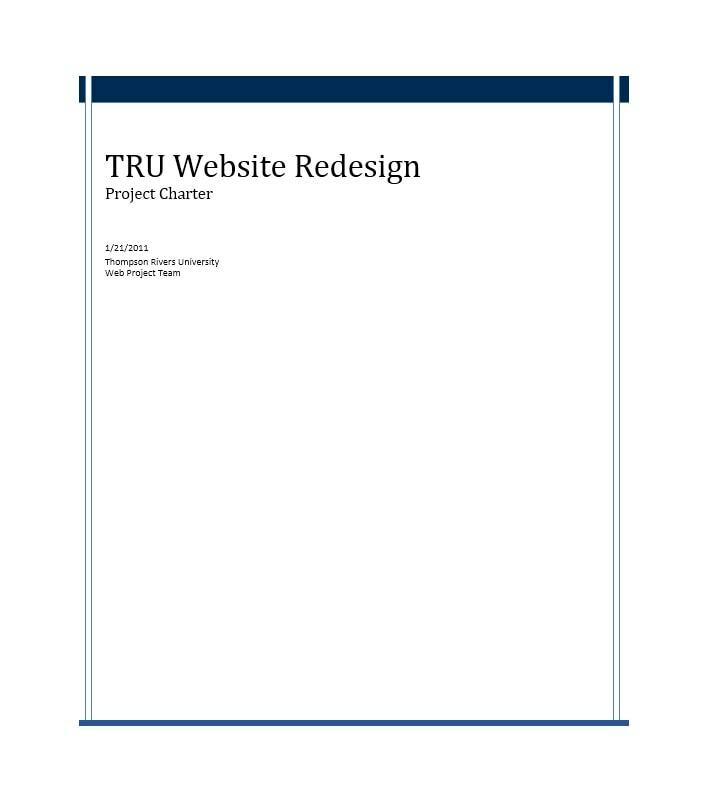 This would ensure that there would be no chance of scope-creep throughout your whole project. The Project Might Go Off Course. 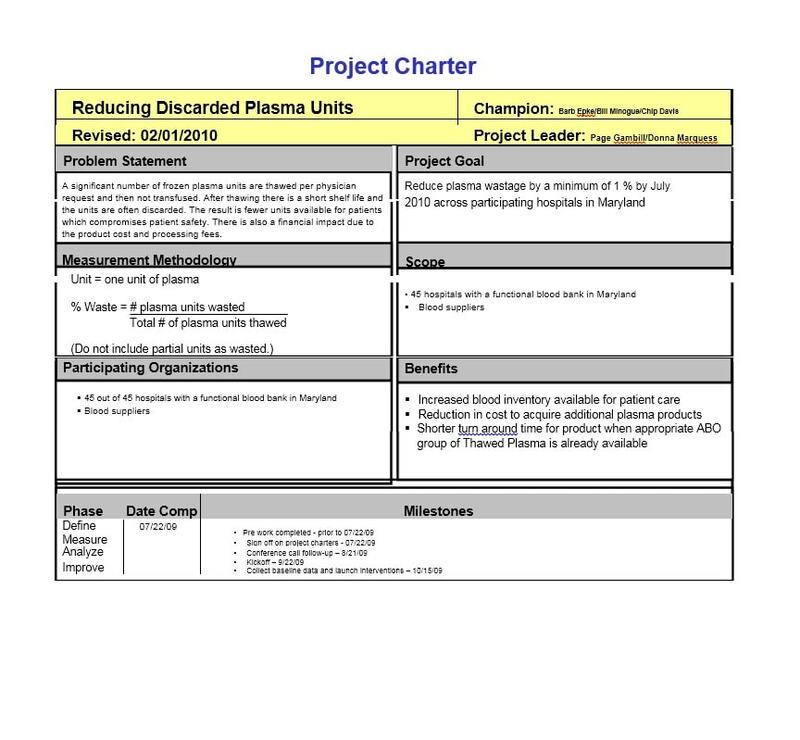 Your project would most likely be aligned with the objectives of your organization. 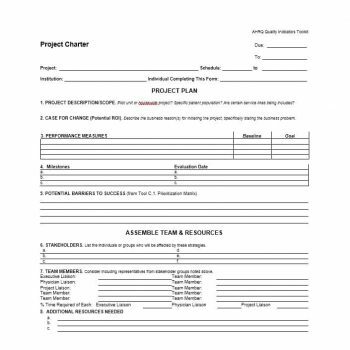 Without a project charter, you won’t have a clear picture of what needs to be done and you might be doing tasks which are already far from the objectives of your project.